BUTLER TOWNSHIP, Pennsylvania (WNEP) -- As northeastern Pennsylvania prepares for President Donald Trump's visit to Luzerne County on Thursday, federal agents are continuing to search for a man who has made threats against the president. U.S. Marshals believe Shawn Christy of McAdoo stole a van from a school bus garage in Butler Township earlier this week. They have been searching for him in Luzerne County since last week. Last week, U.S. Marshals started searching for Christy in Butler Township in Luzerne County after they say he broke into a relative's home and stole guns. Wednesday morning, they searched for him at the Rorher school bus garage on Route 309. They believe Christy stole a gray 2008 Dodge Caravan that has the words "school students" and "Rohrer" written on the side of it. U.S. Marshals ask you to be diligent and keep an eye out for Christy or the van. "If you see this vehicle or identify it in some way, or you think it's the vehicle or if you see him in the vehicle, what I'm asking the public to do is not approach him and to reach out to 911," said U.S. Marshal Martin Pane. For a week, many people who live in Butler Township have been on edge. "We heard about this guy. It's really scary because we have children and everything," said Pie-O-Near Pizza owner Maria Castiglia. "Hopefully, they'll catch him before he does anything, you know?" added employee Kim Moylan. The reward for information leading to Christy's capture is at $15,000. "I've asked it from the beginning. I ask the public to be diligent to now be wary of locating that vehicle," said Deputy U.S. Marshal Robert Clark. Marshals are frantically searching for Christy ahead of President Trump's visit to the area Thursday, especially now since they believe he is armed. 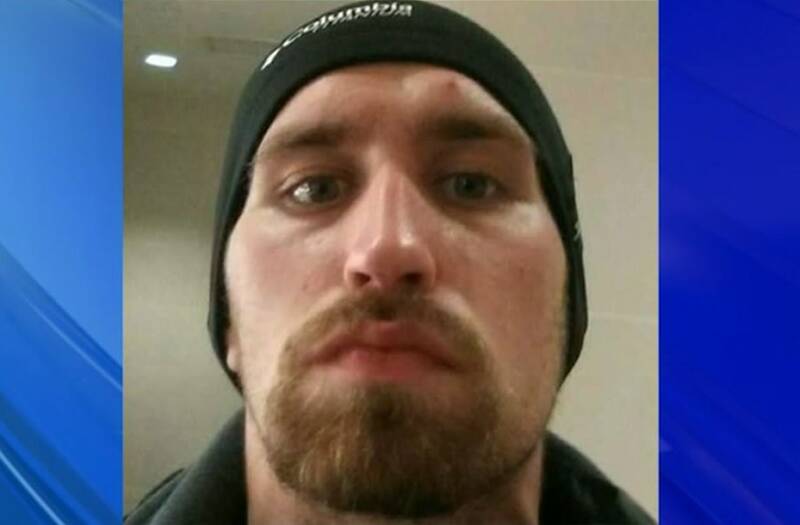 The U.S. marshals do say they are concerned about finding Shawn Christy before President Trump's visit to the Wilkes-Barre area on Thursday. They say they are working with the U.S. Secret Service. "Obviously, anybody who threatens or allegedly threatens someone is a concern to law enforcement. The President is coming to our community and we're obviously concerned about bringing Mr. Christy in as soon as possible," said Marshal Pane.